Who is to say Nautilus isn’t one of the most efficient and primarily reliable fitness machine manufacture in the entire industry? Like its counterpart, the T616, the Nautilus T614 treadmill is a primordial boss of comfort and convenience, and undoubtedly serves as one of the elite machines in Nautilus’ line of residential treadmills. It comes equipped with a powerful 2.75 CHP motor, large 2.5 inch crowns, and a spacious running surface. It also features a nice blue backlit LCD that tracks your fitness data as well as other important readings and treadmill functions. Featured alongside are USB charging port, MP3 playability, and compatibility with Nautilus Connect which makes this one hell of a machine to own. When assembled, the T614 measures at 72.2” x 35.2” x 57.6” of length, width, and height respectively. The running track is spacious at 55” x 20” of length and width respectively although it is a little shorter than its more expensive counterpart. 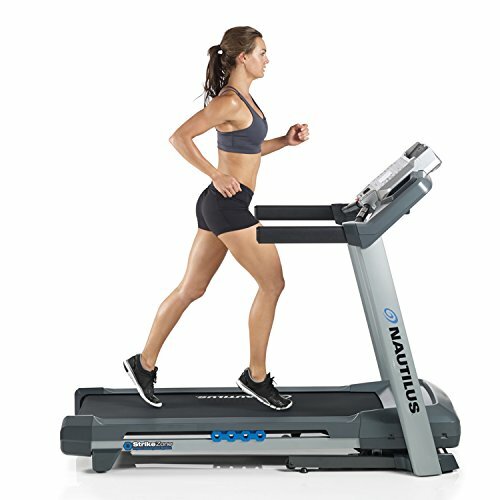 The Nautilus T614 has a folding option with SoftDrop Fold design that uses hydraulic shocks to gradually fold or unfold the treadmill at your will without running the risk of hurting you. Being light in weight and compact, the T614 ensures you can put the treadmill in your room and then tuck it away after use in order to save space when done. Transportation wheels at the bottom also make it easier to move the machine from one place to the next. 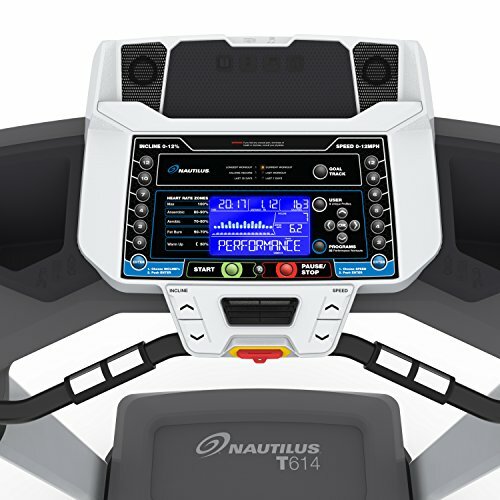 The console of the Nautilus T614 features an extra-large 3” x 5” blue back lit LCD display that gives essential readings such as elapsed time, total speed, distance covered, heart rate, and number of calories burned. The display also helps track other treadmill settings such as incline and workout mode. The console has 22 built in workout programs that give you a very vast variety of training options to choose between including 1 manual, 3 quick goals, 5 training, 3 weight control, 5 heart heath, 3 interval and 2 custom programs. The speed of the treadmill ranges between 0 mph – 12 mph while the incline can be adjusted from anywhere between 0 degrees-12 degrees. Two user profiles can be saved in the console with each profile having its readings updated and stored in order to keep you updated on every calorie your body burns. 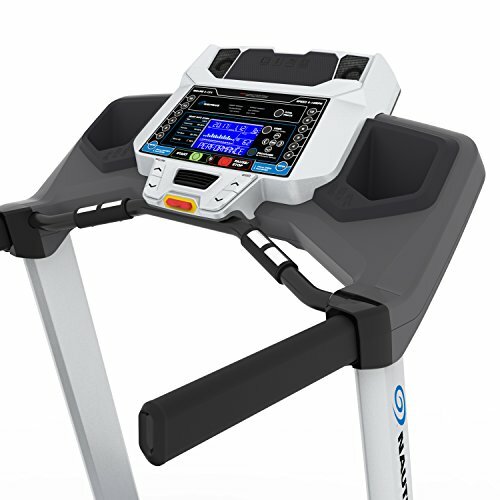 Quick Select speed and incline buttons also adjust the treadmill’s settings towards designated workout types that aim to give you options such as light, medium, and vigorous workout. The T614 has MP3 compatibility allowing you to enjoy music entertainment as you work out by incorporating acoustic chamber speakers with a nice, full sound. Unlike the T616, this model of the Nautilus does not feature Bluetooth connectivity but it does pair with Nautilus Connect, and MyFItnessApp from where you can download work out data. Nautilus Connect is a pretty spectacular performance tracking program that allows you to sync and analyze your individual workout data for advanced and easy goal tracking. This signifies that no reading of your progress will escape your eye if you sync your treadmill to these apps. Pulse grip monitors on the handrails track readings of your pulse and concurrent heartbeat. The pulse monitors themselves are telemetry enabled. Other console accessories include two bottle holders and a 3 speed adjustable fan to avoid the treadmill from overheating. The treadmill is durable and made of solid steel construction. It can support weight of up to 300 pounds which is relatively low compared to other treadmills that come at the similar price range. However the 2.5 inch crown rollers provide a smooth, fluent, and consistent workout. StrikeZone cushioning on the running surface is made of 4 hex cells and each of these layers work in coordination with one another to absorb the maximum amount of impact from your strides which would help make it easy for your muscles, joints, and tendons to recover faster after your workout is over. A 2.75 CHP motor powers the running surface and is noiseless to the point that you can exercise in relative comfort and listen to music without disturbing others. Like its sister, the Nautilus T616, the T614 also features one slight drawback which isn’t the machine itself but the warranty being offered by the manufacturer. 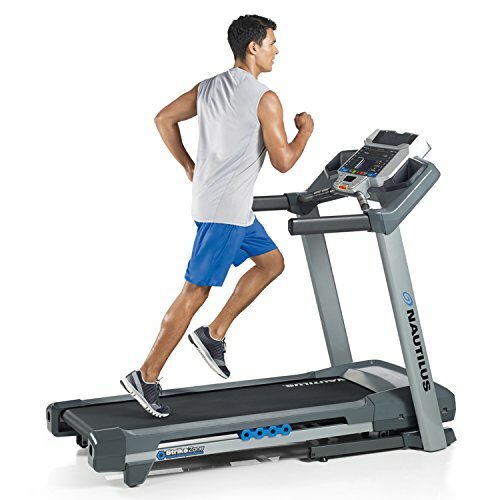 Unlike most other treadmills that have a lifetime warranty on the frame, Nautilus offers a mere 10 year warranty on the frame and drive system, 2 years on electrical and mechanical parts, and 1 year for labor. Top quality SoftDrop folding design makes folding and unfolding the treadmill easy. The high number of workout programs provide great variety. Bluetooth connectivity to Nautilus apps as well as MyFitness App adds a lot more to the already staggering number of features offered by the T614. Good top speed and 12 degree incline targets core muscles of your body. Full audio entertainment and MP3 compatibility makes music entertainment possible. The display itself while good feels a bit crowded at times and the readings may prove to be a little difficult to read. The warranty offered by the manufacturer is not very good considering its price tag. More could’ve been done. Weight capacity of 300 pounds seems a little underwhelming. Many treadmills in the same price range can support much higher maximum weights. The T614 doesn’t need any undue praise when its wide flurry of features and high quality parts speak for themselves. With only a few shortcomings that barely take anything away from the treadmill, the Nautilus T614 is top end high quality on every level. With a console that offers practically every important feature imaginable, and a plethora of impressively high 22 workout options as well as app connectivity and MP3 support makes the T614 have a great case to find itself in your house. True, it pales in comparison to the superior T616 which has higher number of features and other exclusives, but the T614 already makes a pretty good case for itself. If you can afford to add a couple hundred more dollars, you can go for the T616. Otherwise the T614 by itself is great enough to prove a reliable friend for the times to come. 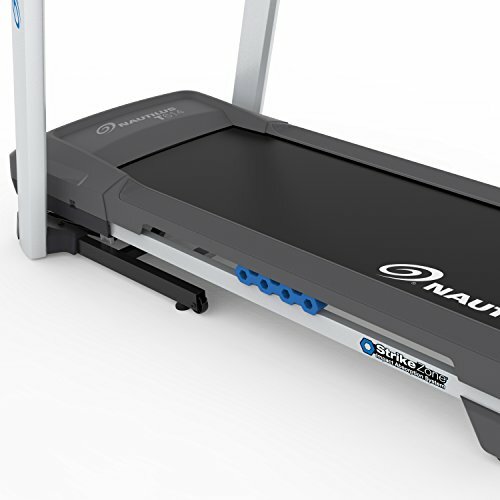 One of the most reliable treadmills in the entire Nautilus T series. The T614 is a reliable piece of machinery that provides a really durable workout in the long run. I am a highly competent and enthusiastic Personal Trainer with the ability to help people achieve their fitness goals and ambitions. I have been training for the past five years myself and have gained knowledge and experience within the fitness sector which also included me learning to a high extent about nutrition and supplementation. I learnt this from being practical and additional research in my own time. I am able to apply the knowledge I have to help anyone and work around their needs and goals. I have been around physical activity for all of my teenage and adult life. My career as fitness guide through various Gyms has given me immense knowledge in recommending a variety of fitness equipments. Fitnessgeko / Fitnessgeko.com is a participant in the Amazon Services LLC Associates Program, an affiliate advertising program designed to provide a means for us to earn fees by linking to Amazon.com and affiliated sites.